In partnership with the cities of Willits and Fort Bragg, and North Coast Energy Services, REDI provides affordable assistance to install energy-efficient features and reduce energy and heating costs for income-eligible local residents, plugging the energy leaks in our community. 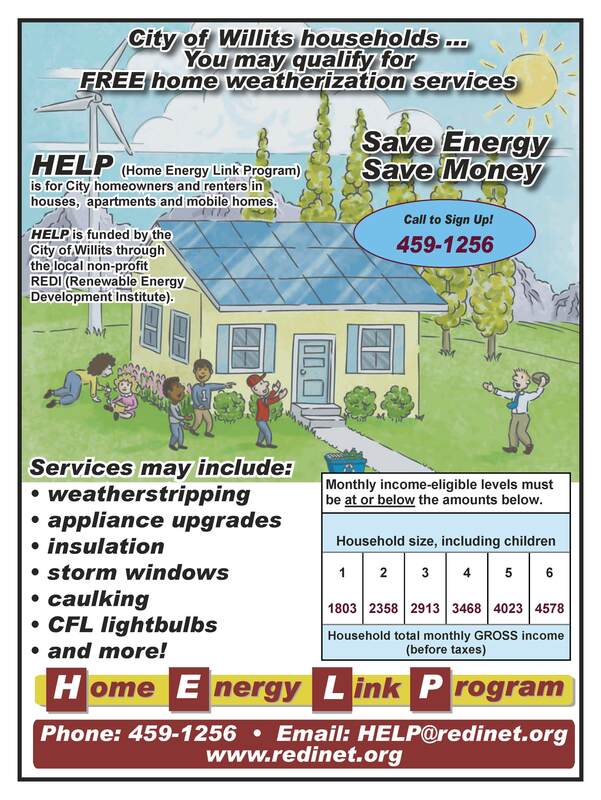 If you currently reside within the city limits of Willits or Fort Bragg, you may qualify for free home weatherization. To get an application, or to find out more, call 459-1256 or email help@redinet.org.